Not far from Perth, Western Australia, and ideal for a day tour, the huge sand dunes of Lancelin offers the opportunity to try sandboarding (a kind of snowboarding, but over the sand), while The Pinnacles will leave visitors totally amazed with a glimpse into the geological history of the region, through curious pinnacles of rock emerging from ocher-colored sand. 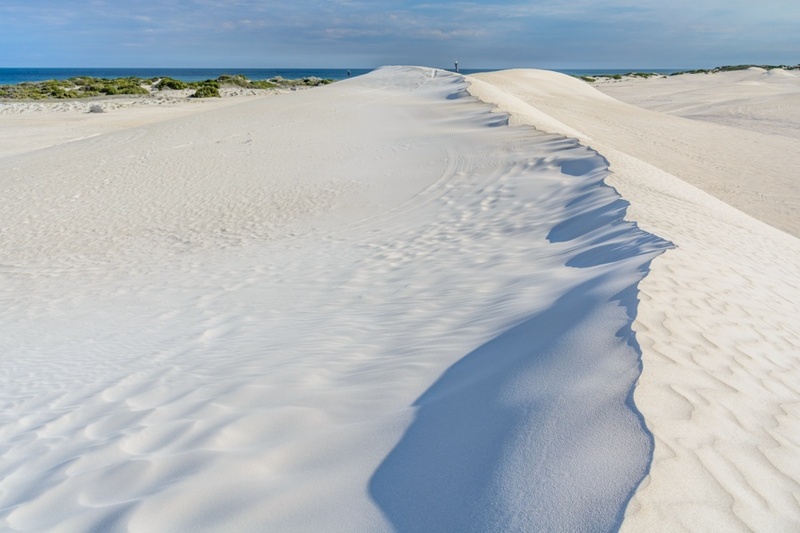 Whether it's a day tour from Perth to The Pinnacles, whether you are heading for a long trip throughout Western Australia, a stop in Lancelin to admire the beautiful white sand dunes, should not be missed. 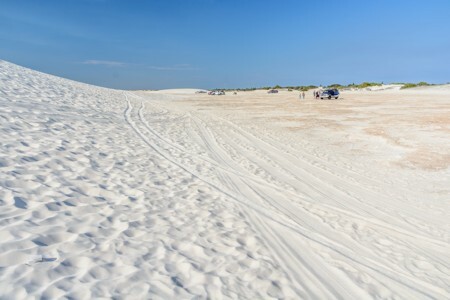 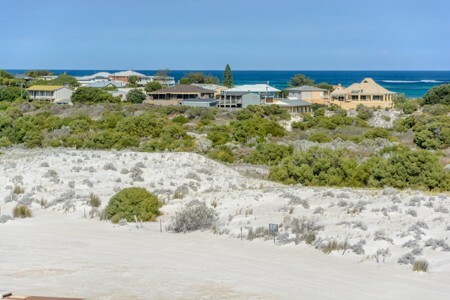 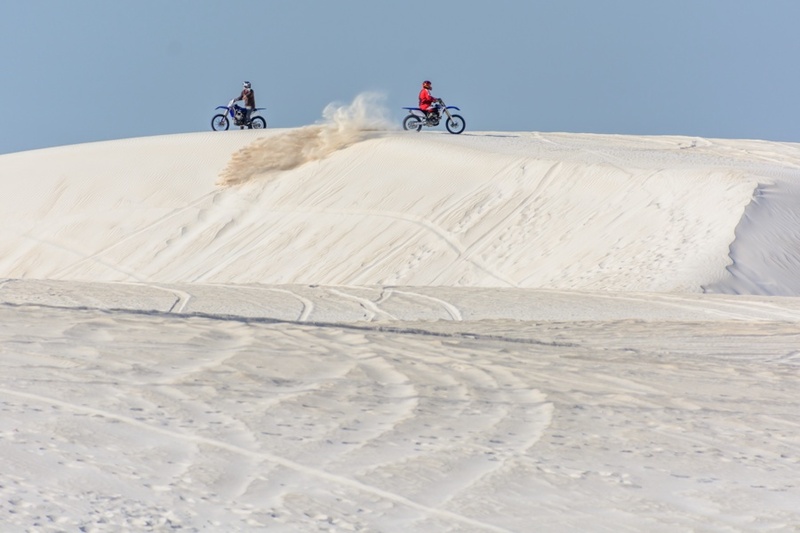 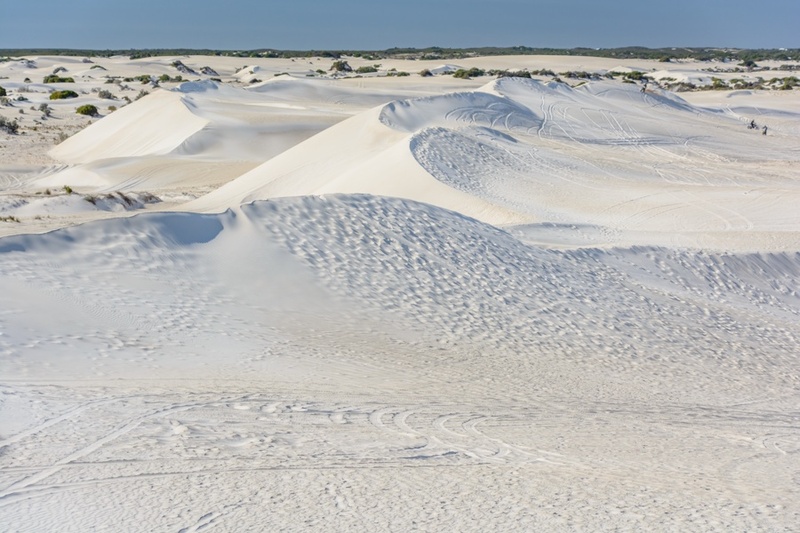 Lancelin sand dunes are located about one and a half hour drive north of Perth, and are interesting not only for the unusual landscape for this latitude, but also for the various sports that can be practiced locally, like motocross or crossing the dunes in a 4x4. 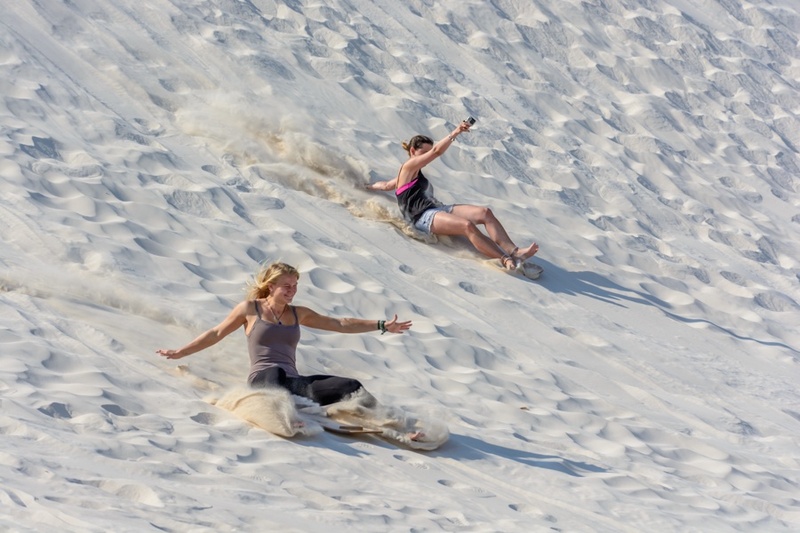 Lancelin sand dunes are nevertheless well known for sandboarding in Australia, that is like snowboard, but on the sand. 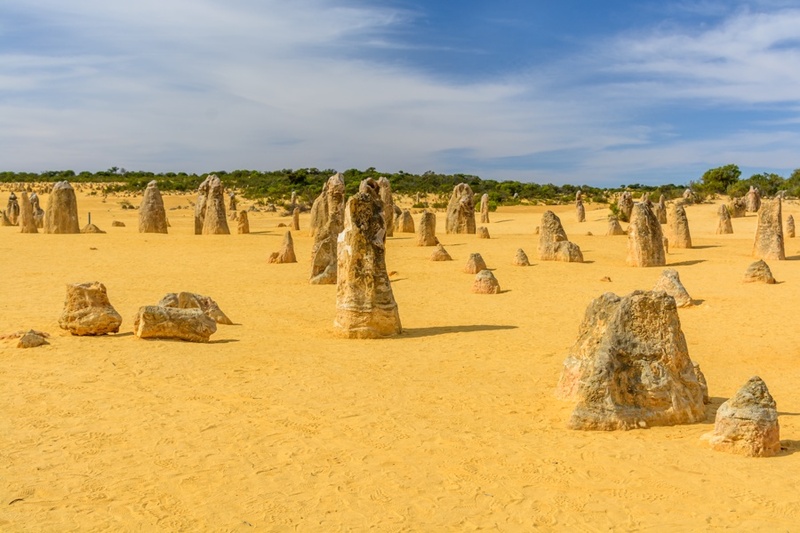 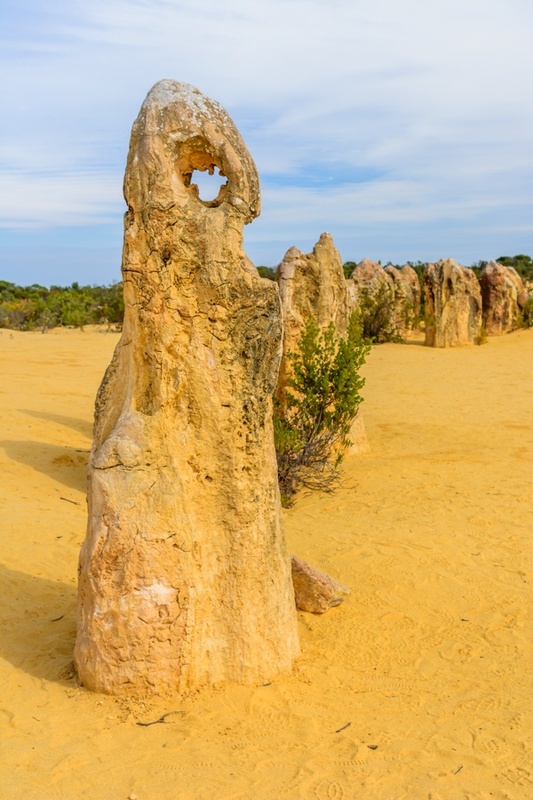 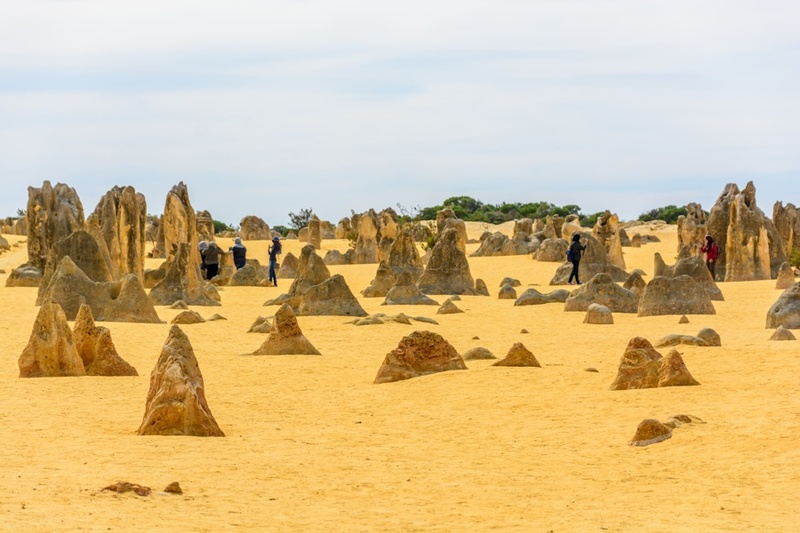 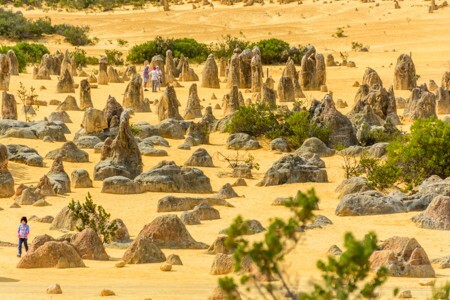 Another stop that should not be missed driving north from Perth, is The Pinnacles desert, a curious expanse of clay formations emerging from a ocher-colored sand. How are the pinnacles were formed? The geological origin of the pinnacles is very curious and testified by their corrugated surface and with many embossed lines. 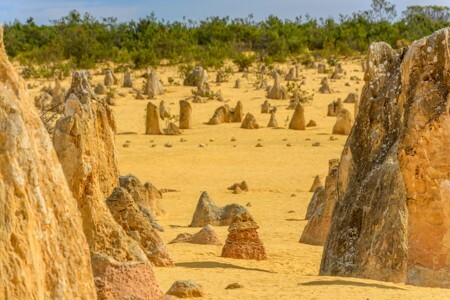 Originally, not many millions of years ago, the pinnacles were nothing but agglomerates of crushed shells buried beneath a soil on which a forest grew. The embossed lines that we can still see on the surface of the pinnacles, are nothing but the fossilized roots of the trees. 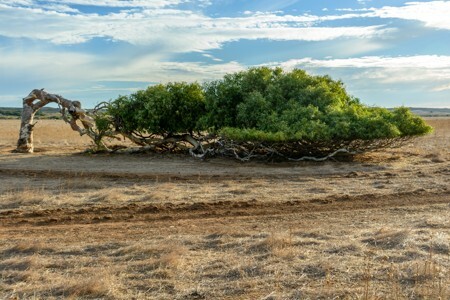 Subsequently, the forest disappeared for some reason and, once the protective effects of the vegetation against the erosion ceased, the soil around the pinnacles was taken away by wind and water, leaving only the latter exposed. 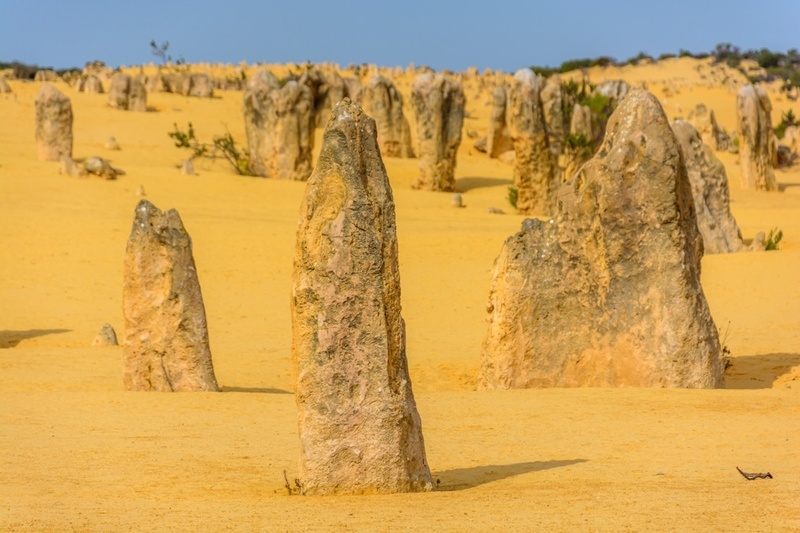 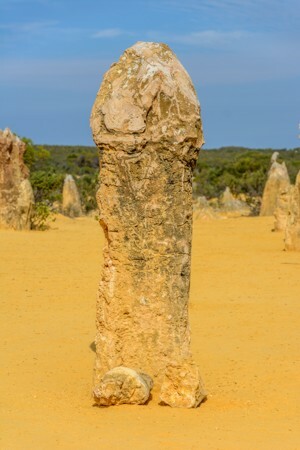 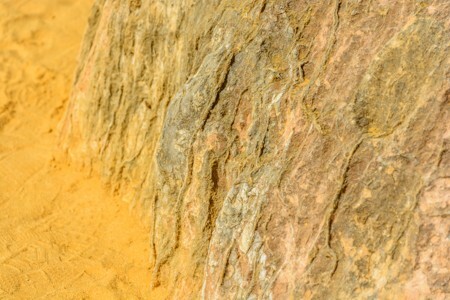 A footpath on the sand allows visitors to look closely at the pinnacles, extending over an area of several square miles. 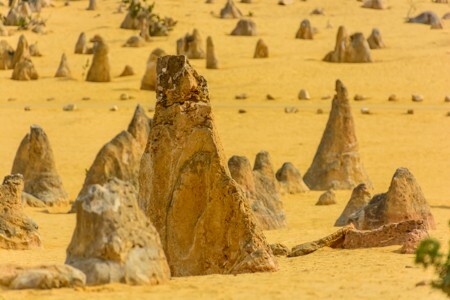 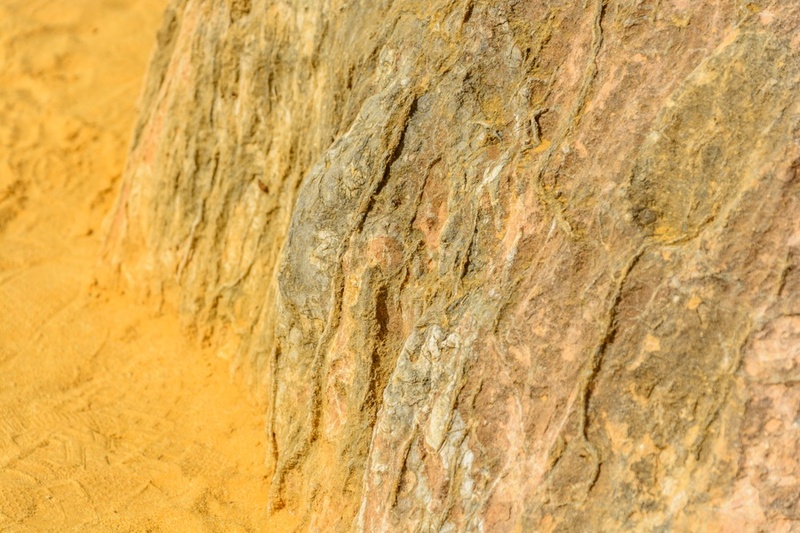 The pinnacles, which are counted in thousands, have a height that varies between a palm and three and a half meters, while the ocher color of the sand is almost blinding. 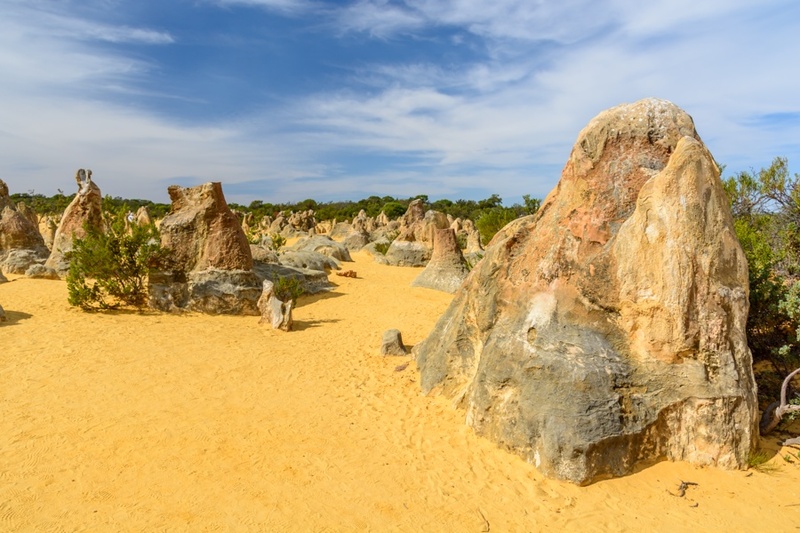 Pictures of The Pinnacles Desert in Western Australia. 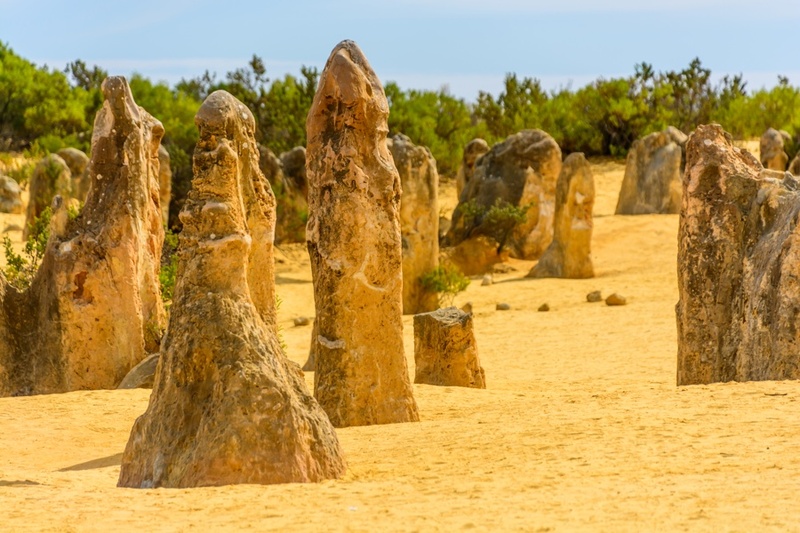 The journey to Western Australia continues from the Pinnacles Desert to the north, crossing a region known for the presence of several eucalyptus trees growing horizontally, due to the steady strong wind from the south.